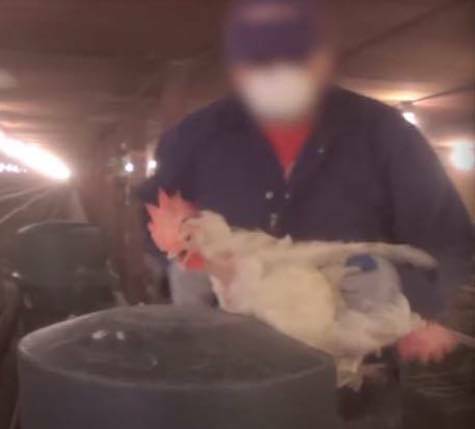 “Aversive behavior ['broiler' chickens] in the form of gasping, shaking of heads and stretching of necks to breathe could be seen beginning in window two [of the gas chamber] and, by window three, all were exhibiting strong convulsions. Following numerous undercover investigations revealing shocking cruelty in slaughterhouses, the meat industry has shifted towards a method of killing animals that is regarded by many as being less inhumane — gas chambers. Gassing animals, euphemistically referred to as controlled atmosphere killing (CAK), is becoming an increasingly common method of killing animals in the food industry. In Australia and some European countries, CAK is already used to slaughter pigs, chickens and other animals.